Charles Caldwell came back to the Medical Unit for a reunion to thank them for the care they provided him. As the Big Island’s leading provider of inpatient and outpatient care, Hilo Medical Center delivers a full range of services and programs on our 20-acre campus. Hilo Medical Center is licensed for 157 beds for acute care and 35 beds for long-term care. We have 1,100 employees and a medical staff comprised 250 community physicians, physician assistants and Advanced Practice Registered Nurses, representing 33 specialties. As a medical center, we have a network of 9 outpatient clinics offering primary and specialty care. The hospital is a Level III Trauma Center which includes the second busiest emergency room in the state that provides 24-hour care to more than 51,000 patients annually. Hilo Medical Center has been nationally recognized for exceptional care as a “Top Performing” hospital. CMS ranked HMC 4 stars for Overall Quality, putting HMC among the top 20% of hospitals in the nation, the top hospitals in the state and the only 4-star ranked hospital on Hawaii Island. Our hospital is designated as a Level III Trauma Center and a Primary Stroke Center. We are also the only hospital in the state to have earned two Beacon designations in our Intensive Care Unit and Progressive Care Unit. HMC’s HealthConnect attained the American Reinvestment and Recovery Act (ARRA) Meaningful Use Stage 2 in 2014. In addition, the Healthcare Information and Management Systems Society (HIMSS) recognized HMC for achieving Stage 7 on the EMR Adoption ModelSM. 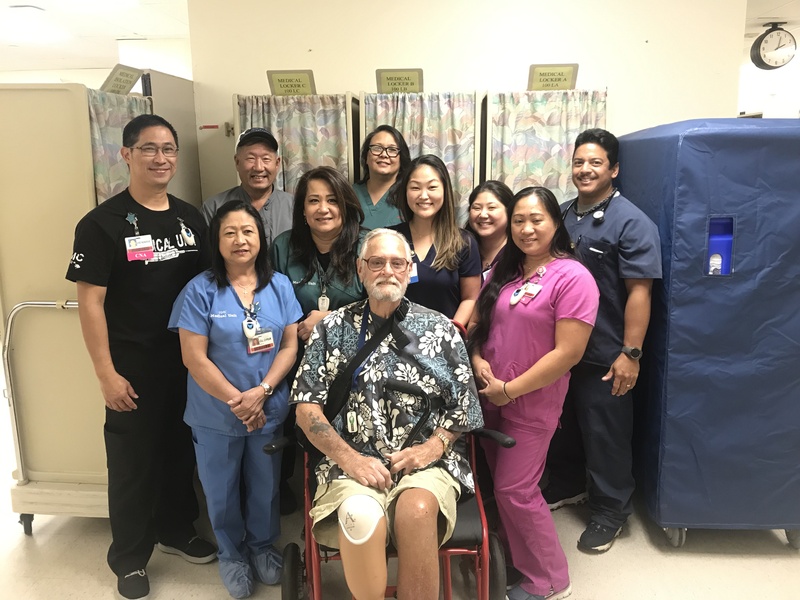 Hilo Medical Center also earned the HIMSS Nicholas E. Davis Award for the utilization and demonstration of its electronic medical records system.